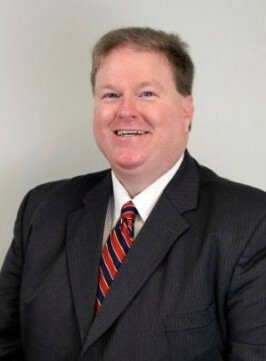 Keith Pinchback, Ed.D., became the as the fourth chancellor at Phillips Community College of the University of Arkansas (PCCUA) in July 2015, having previously served as vice chancellor of institutional advancement at Arkansas State University-Beebe since 2001. Pinchback earned a bachelor’s of science degree in journalism with a public relations emphasis in 1992 and a master’s of business administration in 2003, both from Arkansas State University. He also completed a doctorate of educational leadership from ASU in 2011. Before joining ASU-Beebe in 2001, he was regional director of sales and marketing for Balanced Care Corp., director of community relations for St. Bernard’s Behavioral Health, marketing director at Helena Rehabilitation Center and sports editor of The Daily World in Helena. He also served as a sergeant and senior airman in the United States Air Force. The first community college established in Arkansas, Phillips Community College of the University of Arkansas (PCCUA) is a multi-campus, two-year college serving eastern Arkansas. Since its inception in 1964, the college has grown from an original enrollment of fewer than 250 students in 14 program areas to more than 2,300 students in academic, occupational/technical and continuing education programs and offers 25 associate degree programs. PCCUA has campuses in DeWitt, Helena-W. Helena and Stuttgart.